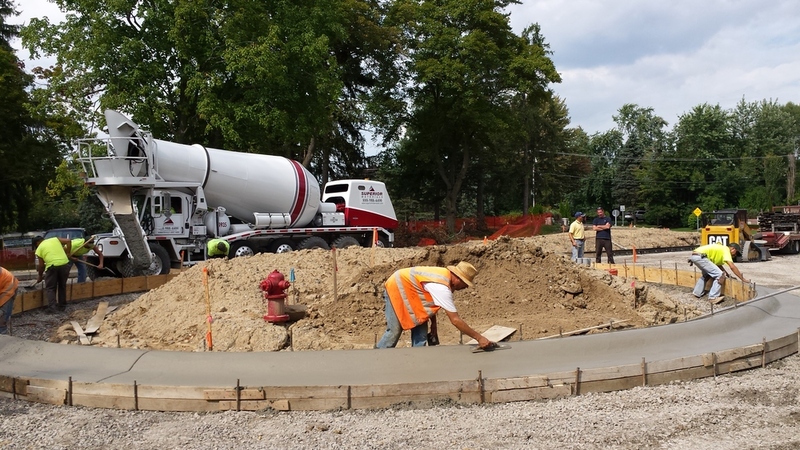 Today was the day to install curbs at Long Lake Pines. 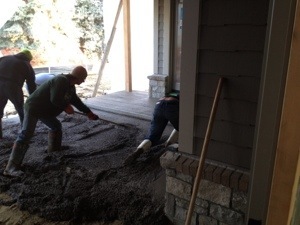 Usually this is done with a machine that extrudes the curbs as it crawls along on the stone subgrade. A one or two man operation. 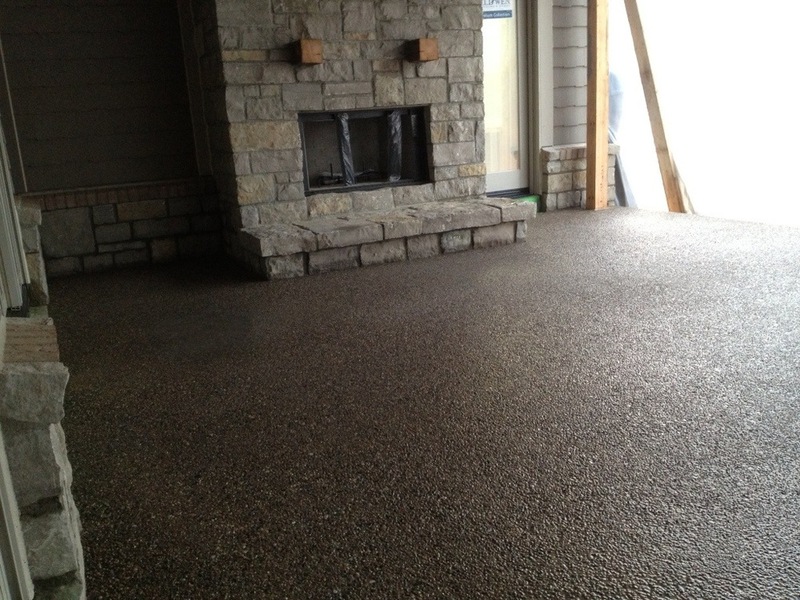 Due to the small size of our job we got HAND CRAFTED CURBS formed on the job and hand finished by real cement masons! 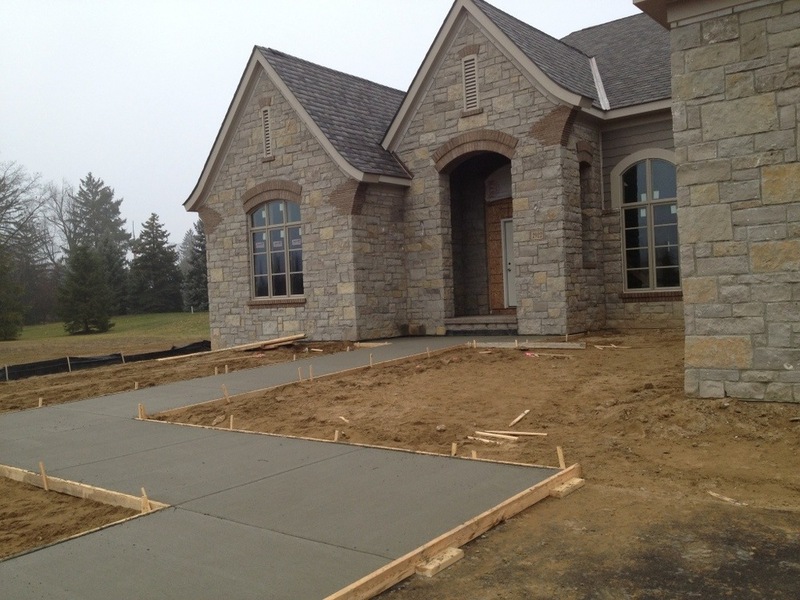 Concrete being poured on left and finished curbs on the right...handmade! ALL IN A DAY'S WORK FOR THESE FINE CRAFTSMEN. THANKS GENTLEMEN!